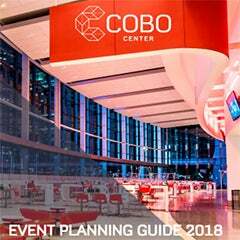 In 2017, Cobo Center upgraded technology in significant areas to insure seamless customer experiences for the North American International Auto Show (NAIAS), and every event at the center. 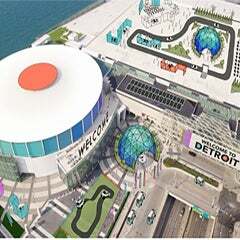 2018 NAIAS is shaping up to bring nearly a million visitors to Cobo over 15 days, all using technology in some degree. 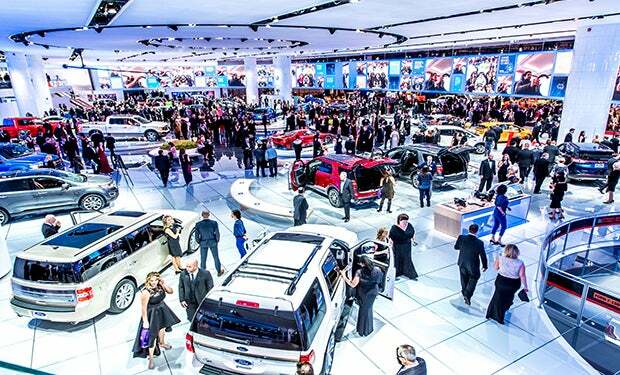 Facility-wide, free WiFi, hi-tech exhibits using virtual reality, augmented reality and artificial intelligence, and the overall use of technology during NAIAS makes it a major power-user. "We've increased the capability of our technology to meet the demands of our largest customer and then some," said Claude Molinari, general manager, Cobo Center. "We welcome the challenge that online sports events give us. We are ready!" Last summer, 60 intermediate distribution frames (IDFs) were installed throughout the center to support and enhance the 10-gigabyte (Gb) broadband now offered to customers at Cobo Center. The number of IDFs insures there is no degradation of broadband signal, a problem presented when cables are unusually long. "In fact, the new IDFs can accommodate 40Gb bandwidth. With events demanding more rapidly developing technologies, we can continue to meet customer expectations well into the future," added Molinari. Cobo Center WiFi, free to events and visitors on the CoboFREE network, has also been upgraded to accommodate more simultaneous users. One gigabyte of bandwidth is now dedicated to the CoboFree network. A team of technicians is assigned to adapting the custom network at a moment's notice, as dictated by the demands of customer use. Events can also purchase a captive portal that includes a splash page for CoboFREE. This provides sponsorship opportunities and putting sponsor info in front of everyone who uses the free WiFi network. The entire Cobo Center network is supported with full redundancy to allow maintenance on the system without any interruption of service. Technology upgrades also include enhancement of the fiber network in the center to better accommodate media broadcasts and streaming services. 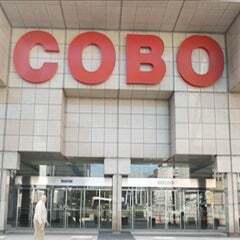 "Our Technology Services Department is an area that will always require ongoing upgrades," said Larry Alexander, chairman of the Detroit Regional Convention Facility Authority, which is the governing body of Cobo Center. "We are constantly analyzing the industry for current trends and making every needed adjustment to stay ahead of the curve."